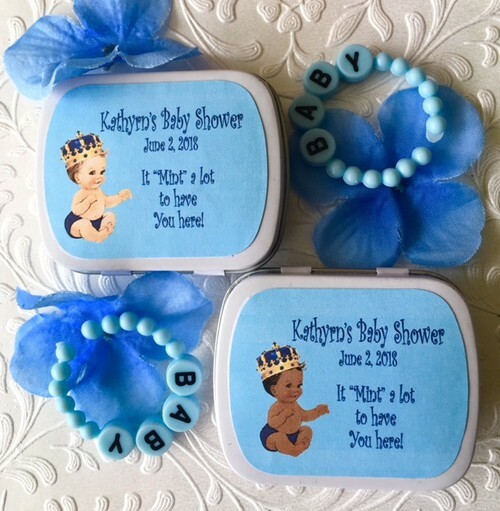 Celebrate your Little Prince , with the perfect favor for your baby shower or children's party. You can fill them with mints, gum or candy. When empty they make a handy little pill box. Each white rectangular mint tin measures 2.375" x 1.875" and has a sturdily constructed hinged bottom and top.